If you’re a business owner or marketing employee at your company, you’ve heard the term before. You get the gist of it from the name — inbound marketing is the process of attracting people to engage with your business. It sounds great in theory, but you’re curious about how it works in practice. It’d be great to not have sales making cold-calls and scouring LinkedIn for leads. We’re sure you’d love it if your phone was ringing off the hook or your inbox was filled with requests for your product or service. In the back of your mind, however, you’re wondering if inbound marketing can work for your business. You want to make sure you’re getting a return on investment for your marketing. You’d be willing to invest if you were sure there were tangible results you could expect from an inbound marketing campaign. In today’s post, not only will we answer the question, “What is inbound marketing?” but we will give you a full understanding of the process from A to Z. Have you ever read a blog post about a topic, service, or product you’re interested in? Especially one you found through Google search? 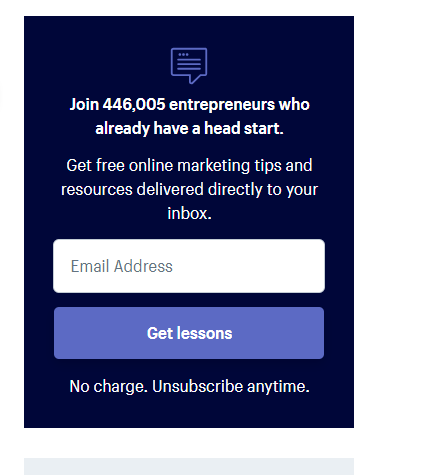 Have you ever signed up for an email list where you receive something free in exchange for providing your email address? Then, later on, you might see advertisements from the same company on Facebook. Since you’ve seen the company before or are familiar with the brand, you might click through to the website through that ad. At some point, you’ve purchased a product or service from a brand you first experienced online by watching or reading their content. That’s inbound marketing in a nutshell. It’s the exact opposite of the old form of marketing where businesses spent as much money as possible on advertisements to blast their message to consumers as many times as possible. Why the shift from outbound to inbound. We live in a world of a massive number of choices. We have stronger filters to ignore ads from companies trying to force their message on us. Instead, we search for the products and services we truly want. And we search for them on our time. We’ve become more shrewd with our buying behavior — reading reviews, buying from companies who educate and entertain us first, and using the internet to make more informed buying decisions. There’s still room for advertising, but at some point, you’ll have to market yourself well on the internet. So how do you create this inbound marketing strategy? Here’s the step by step process. Quick question for you — what’s your target audience? Do you know their hopes, fears, and desires? Do you know their demographics? Have you been keeping an eye on the channels they use to interact with businesses in your industry? Before you move into the next steps of the process like keyword research, content marketing, SEO, social media, email marketing, and more, you want to have a great idea of who your target audience is so you can create the right campaign. Here are some great customer research tips you can use to define your target audience. If you’ve been in business some time you know some facts about your target audience. What are the current demographics of your target audience (here’s a great article on finding them if you don’t know)? What are the pain points and problems your product can solve for them? Can you name some of the goals and aspirations your product can provide them? How does a member of your target audience see themselves? Using this brainstorming technique can give you some raw information to make a more detailed customer profile or avatar. Sometimes the best method for discovering the needs of your target audience is asking your current customers about your product or service. If you have an email-list with contacts for current clients, send out a survey with questions related to why they bought your product or service and how it can be improved. Get on the phone with your current customers and ask them about their needs. Track every review for your business and comment on your social media profiles and engage with those customers to get deeper insights. There are many ways to keep tabs on the pulse of customers in your industry. You can go to these sources to find out what customers like and dislike about the products or services in your industry. Quora is a question and answer social media website. Amazon isn’t just one of the biggest retailers in the world, it’s one of the largest qualitative research resources you can find. Search for products similar to yours on Amazon (if you have a service based business you can find books about the industry). Read the reviews, especially the 3-star ones. Why? Because 3-star reviews strike the perfect balance — they’re not overly negative or positive. Someone who leaves a 3-star review has honest insights to share. Forums and Facebook groups provide unfiltered insights you can use to understand your customers. This is great for industries that require a lot of technical knowledge like welding supplies. In that example, you could search for metal working forums and find out which processes and parts are working well (or not) and why. After you’ve done your due diligence, you can compile all your customer research into a profile you can use for your marketing. Creating this profile crystallizes who you’ll be talking to in your messaging. You need to have a clear picture of your target audience before you create content for them and know which channels to place and promote your content to attract the right type of visitor. Here’s a great guide on creating a detailed customer avatar. We recommend content marketing and SEO for each business we work with. You can use other marketing channels, but these two are core elements of any successful inbound campaign. Content marketing is the process of creating content to attract people in your target audience to your website. Blogging and page content are the main channels used for content marketing through SEO, but the term covers a broader range. Search Engine Optimization goes hand in hand with content marketing. SEO is the process of adding relevant information about your product or service to your website to rank its pages on Google. Both activities combined can increase the organic traffic to your website. If you can convert some of that traffic into leads, content marketing, and SEO starts to work as an ‘automated salesman’ that draws people to your site and through the awareness stages of an inbound marketing campaign. After you have a great idea of the wants, needs, and interests of your target audience, you can research the phrases they type into Google. This helps you create content that will rank in search engines for terms people use to find your product or service. Relevance – You want to find keywords relevant to your business. Keywords that sound good and get a lot of traffic are worthless without the right intent. Volume – Keywords have a monthly volume – or an average number of searches. If a keyword sounds good to you, but the data says the volume isn’t there, try a different keyword. Competitiveness – Keywords with higher search volume are usually more competitive, meaning you’ll need better content and more backlinks to rank for those words. Keeping these items in mind, you can use a combination of brainstorming and competitor research to find keywords to use. There are tools that help you find important keyword information. These include the Google Keyword Planner, Ahrefs, Uber Suggest, and more. Take all of your different product or service offerings and brainstorm potential topics and put them into a keyword research tool. These tools will often provide recommendations and suggestions based on your input. One of the simplest ways to find out which keywords work well is finding the terms your competitors already rank for. Then, you can create better content and promote it more, which can help you leapfrog them on search engine results. You can plug your competitor’s websites into these tools and find great keyword information. At the end of the process, you should have keywords based on the main topics, products, and services of your business. You also want to have keywords based on sub-topics and variations of your main ones to use for landing pages and blog posts. 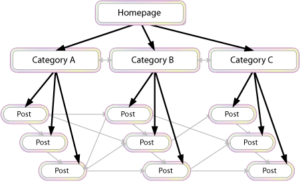 You will want to have a complete sitemap for the main pages and other landing pages you want to create for your site. You’ll assign keywords to each of those pages. Then, the rest of your keywords can be used as part of your blogging strategy. This Sounds Like a Lot of Work Doesn’t It? We want to provide useful information regardless of whether or not you work with us. That being said, content marketing and SEO can be an arduous process. Once you have the research done for content marketing and SEO, you need the right tools to implement the campaign and decide if you’re going to use other channels to market your business. Let’s start with the bedrock tools and channels you need for content marketing and SEO. Mobile responsive – Your website needs to look appealing on a mobile phone. Also, your website should be built to covert, meaning you have multiple areas of your site to turn casual browsers into e-mail list sign-ups or get them to contact you. There’s no use having tons of traffic coming to your site if you can’t convert it. Each page of your site should have an intention behind it. Consider the behavior you want visitors to take on each page when creating design and content for them. You need data to make informed decisions for your inbound marketing campaign. There are tons of tracking tools out there, but here are some metrics you need to track and best-known tools to use. Your website needs to track information about the traffic coming to it. Google analytics is the go-to software for this. It comes with lots of useful information you can use to guide your campaign. You can also use Google Search Console for additional analytics insights including impressions, click through rates and some keyword ranking data. You want to track how well your keywords are ranking over time. This helps you spot which terms are doing well and which ones need some TLC to improve their rankings. If you focused on just the tools above, you’d know the bulk of the information you need to optimize your campaign over time. Once you attract visitors to your site with content marketing, SEO, and other inbound marketing channels. 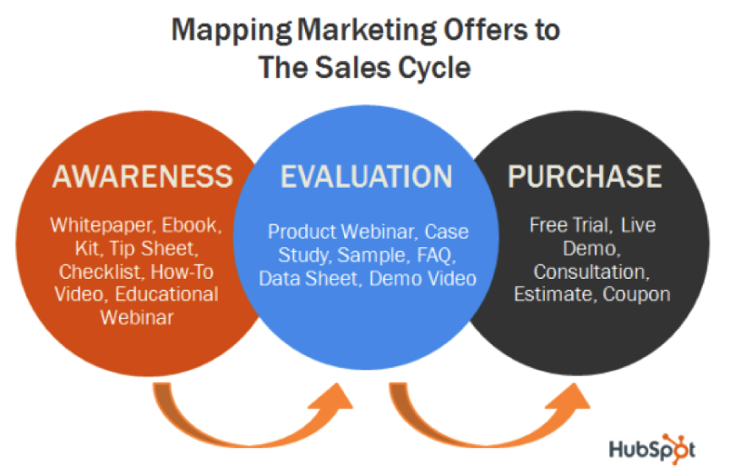 You want a system in place to nurture those leads, engage them, and turn them into sales. The most common lead capturing and nurturing system is email marketing software. Companies like MailChimp, Convertkit, and Aweber work well. You can also use more advanced tools like infusion soft, click funnels, and Ontraport that collect emails but also handle payment processing and other sales features. 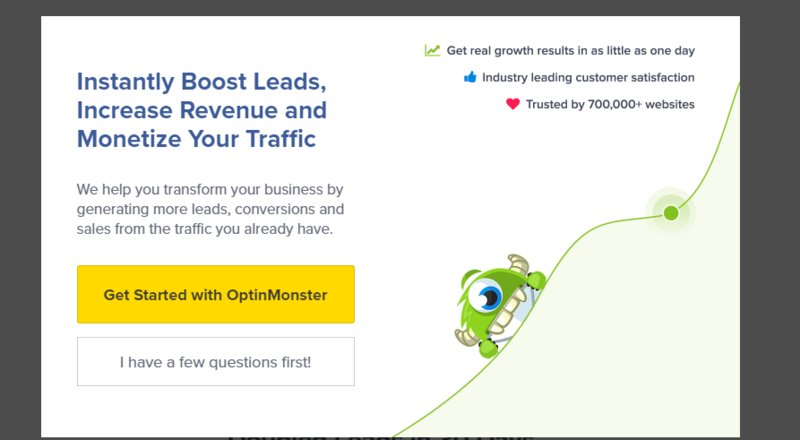 You can also create a system where you entice visitors to request to learn more about your service, set up a demo, or a free strategy session. Either way, you are drawing visitors into a marketing funnel. 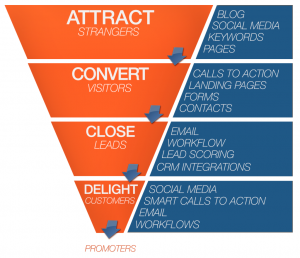 The goal of a marketing funnel is to engage with people further after their first visit. You want to capture their information and continue the conversation. These are the basic tools and systems you need to get your inbound marketing campaign started. There are a bunch of other channels you can use to pour ‘gasoline on the fire’ and get additional traffic. 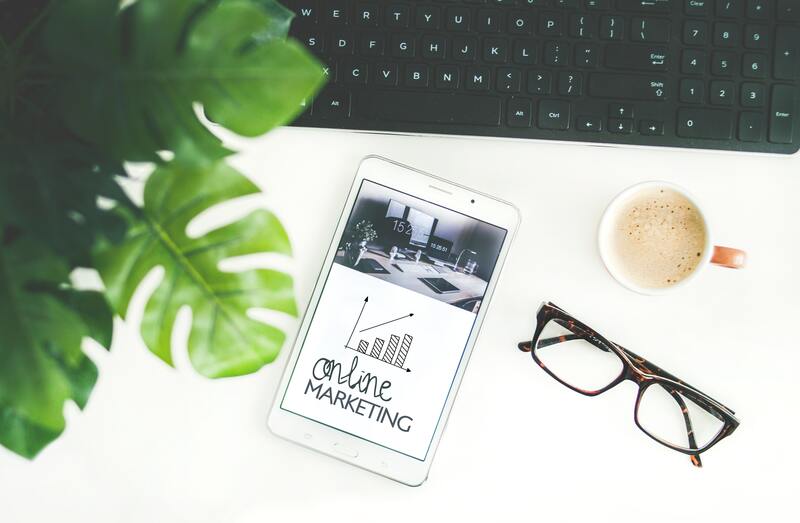 However, the bottom line – Your business will usually get the most long-term benefit from a content marketing and SEO campaign. There are other channels and platforms you can use for inbound marketing. Let’s walk through each and talk about how they work and whether or not they can work for your business. Paid advertisements can work well when combined with content marketing and SEO. You want to use paid advertisements to catch people’s attention in a way that’s not intrusive. Smart advertisers use paid advertisements to capture attention based on the context of the user’s experience. If someone is searching for something on Google, this means they have the intent to either learn more or buy your product. In this context, it makes sense to send them to a landing page with an offer for your product or service with a paid ad. If someone’s on social media or browsing websites that display banner ads, they aren’t necessarily in the mood to buy right then and there, especially if they aren’t familiar with your brand. In this context, you want to use ads to provide value and get people familiar with your brand. Let’s say someone has visited your website and now you want to remarket them with an ad. You could be more aggressive here since they’ve already shown some interest. Let’s look at the platforms and the best context to use them in. Google Adwords is a pay per click platform where you can display ads based on keyword data. 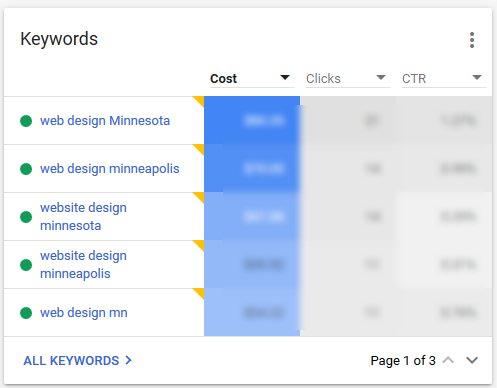 How much are you charged for a click on your ad words ad? Google Ads is best for products and services that users show buyer intent for. This means you should only run Adwords campaigns based on phrases for people who seem more ready to buy. Someone searching for “Size 12 Blue Nikes” is a great example. Google Ads works well for business owners who want to get a pretty accurate direct ROI number. It’s also great if you are looking to get results a bit sooner as SEO and content marketing take months to start showing great results. The Google Display Network allows you to show banner ads on other people’s websites who participate in the Google Adsense program. If you see a banner ad like the one above, the business is using display network ads. The only problem with these types of ads is…nobody pays any attention to them. So why use these type of ads at all? Direct advertisement of products doesn’t work well for banner ads. 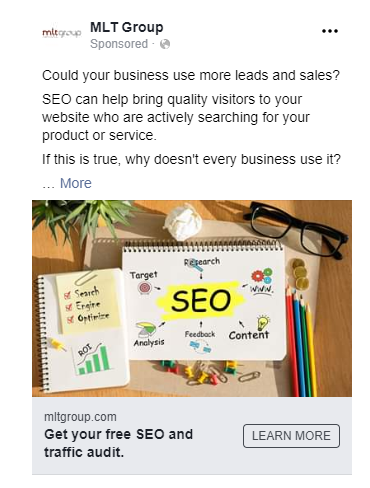 Facebook ads can work quite well if you do them right. Since Facebook owns Instagram, you can post ads to both platforms at once. With Facebook ads, you want to provide value up front to build awareness for your brand and get people to engage with you. This is why a lot of companies offer something free in exchange for an email address. This gets casual browsers into their funnel so these companies can further educate and persuade them. Video works well on both platforms as well because people are used to seeing videos pop up on their feed and it’s an “easy to digest” form of communication. These platforms have another great feature you can use to directly sell to customers – remarketing ads. Remarketing ads show advertisements to people who’ve interacted with your brand already. You can get advanced with remarketing and create all sorts of ads based on what the user has already done, e.g., creating a specific ad for people who read a single blog post on your site. Google and Facebook are the two major players when it comes to paid advertisements. You can expand your advertising efforts across these platforms too. LinkedIn Ads are best for B2b Sales. Again, you’d want to provide useful and entertaining info on this platform as people on Twitter don’t have buyer intent. Organic social media means social media promotion without the use of paid advertisements. There are many different methods you can use for social media marketing. Before we get into those, here’s our #1 tip – be social on social media. Social media isn’t a megaphone for your products or services. It’s not just about likes, comments, and shares. The best marketers use social media to actually talk to other human beings with the primary purpose of connecting with them. This is just a short list of the infinite ways you can use social media. Remember, the tactics aren’t as important as the goal – engage, engage, engage. Email marketing helps move casual browsers through the stages of awareness. You get someone to sign up to your email list and then create messaging that informs and entertains them. The messaging should become more promotional over time. The bottom line – you want people to know, like, and trust you to get them to buy from you. The time cycle for how long this takes depends on the business, industry, and audience, but you have to get the person on the other side of the screen ready to take the next step. There are different stages to the email marketing process to be aware of. For your e-mail list to be successful, you need to get people on it. In short, you want to generate traffic to pages on your website with e-mail sign up forms. Once someone signs up to your list, you need to create the right messaging to compel them to take the desired action. This usually starts with creating an engaging “welcome email” and sending messages with smart copywriting that persuades them with each message you send. Eventually, you’re going to need to make the offer to sell your product or service and get people to buy. There are many ways to lead to the ultimate sale. The tools, channels, techniques, tips, and tricks you can use for inbound marketing are endless. They do, however, all move people through a similar process. Each stage has different goals and you need to know which of your resources works best for each stage. We broke down the actual tools and techniques you need to use in each of these stages because we felt too much of the opposite occurs — people tell you the stages, but not the tools. With this overview understanding and the insights and resources we provided, you should have everything you need to start putting together your inbound marketing campaign. What questions do you have about inbound marketing? Let us know in the comments. Ayodeji is the Digital Marketing Director at MLT Group. His favorite hobbies are reading and eating copious amounts of food in one sitting including dishes like nachos, Buffalo wings, and greasy sandwiches.